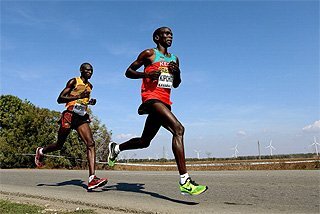 The 2011 IAAF World Challenge produced a series of outstanding athletics performances, with Kenya’s David Rudisha once again making the biggest impact. Having repeated his schedule by starting in Melbourne on 4 March, where he produced an 800 metres victory of high promise, he once again focused on the Rieti meeting to see if he could better the World record of 1:41.01 he had set on the same track a year earlier. On this occasion, however, he had to settle for 1:41.33 – the fifth fastest time ever, which only he and former World record holder Wilson Kipketer had ever bettered. The series also saw another couple of flourishes from Usain Bolt, who ran 9.91 in Ostrava and 9.85 in Zagreb. But two fellow Jamaicans produced the outstanding sprinting performances of this year’s World Challenge series. Bolt’s 21-year-old training partner Yohan Blake, who after securing the World 100m title after Bolt’s false-start in Daegu ran a personal best-equalling 9.82 in Berlin. And 29-year-old double Olympic 200m champion Veronica Campbell-Brown clocked 10.76 to win the Ostrava 100m, a time only World champion Carmelita Jeter bettered in 2011. David Rudisha, the World Athlete of the Year, got his season underway in highly promising fashion on a cool evening at the Melbourne Track Classic, the opening leg of the 2011 IAAF World Challenge series of one-day meetings. Just as he had the previous year – which saw him earn successive World records in the 800 metres – the Kenyan managed a sub one minute 44 second opener, clocking 1:43.88, the second fastest time ever run in Australia behind his 2010 effort here of 1:43.15. “The World championships, that is my aim this year,” he said. The 5000 metres also provided top class achievement as Bernard Lagat, the former World champion from the United States, won in 13:08.43, a stadium record that was destined to last forever at the Olympic Park, where Ron Clarke set his World records 40 years ago, as it was the last 5000m scheduled there before the planned move later in the year to the new stadium at nearby Albert Park. The third highlight event – the men’s 1500m – offered home runner Jeff Riseley the chance to earn victory after outsprinting Kenya’s Olympic champion Asbel Kiprop in the final straight to record his third consecutive win at this meeting, in 3:36.71. 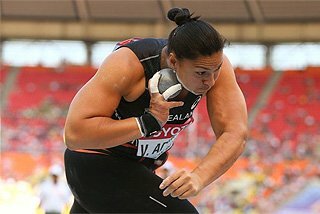 There were also two world class Shot Put performances as the World and Olympic champion Valerie Adams threw 20.13 metres and the 2007 World champion Reese Hoffa managed 21.10. Carmelita Jeter of the United States won the 100 metres on the home turf of her main rivals in the national stadium, recording 10.86, an early World leading time. Home runners Nickel Ashmeade and Kenia Sinclair also excelled at the Jamaica International Invitational, newly integrated into the IAAF World Challenge series. "I am not in shape yet, but I am working to get there," said Jeter, who was followed home by Trinidad and Tobago's Kelly-Ann Baptiste in 10.94, with Jamaica’s Sherone Simpson third in 11.07. Ashmeade won the 200 in 19.96, another early World leading effort and a personal best. Wallace Spearmon of the United States was third in 20.18, but Jamaica’s former 100m World record holder Asafa Powell, worryingly, limped home last in 21.40. Ashmeade’s 21-year-old fellow Jamaican, Yohan Blake, won the 100m in 9.80 with a wind reading narrowly over the allowable limit at 2.2 metres per second. "My start was my biggest problem last season," Blake said. "I got it right tonight and it showed in the fast time." Shelly-Ann Fraser-Pryce, Jamaica’s Olympic champion, was also wind-aided (+2.4) as she won the 200m in 22.10 ahead of the two-time Olympic champion Veronica Campbell-Brown, who ran 22.37. "It's my first 200 of the season and it's the fastest I have ever ran," Fraser-Pryce said. Sinclair won the women's 800m in 1:58.41, well under her own previous World lead of 1:59.63. In the 400m, Novlene Williams-Mills won in 50.71, with World champion Sanya Richards-Ross from the United States, injured in 2010, looking far from fully fit as she finished fifth in 51.62. World and Olympic champion Melaine Walker took the women's 400m Hurdles in 55.60 while American Justin Gaymon ran 48.58 for the men's title, beating World champion countryman Kerron Clement by 0.16. A victory for Hungary’s Krisztian Pars over home Hammer thrower Koji Murofushi, the 2004 Olympic champion, provided one of the highlights of the Seiko Golden Grand Prix on a night when Japan’s women sprinters set a national record in the relay and all ticket revenue went to victims of the country’s recent earthquake and tsunami. Pars threw 79.47m to win the first competition in the IAAF Hammer Throw Challenge ahead of the local hero, whose best was 78.10. The quartet of Saori Kitakaze, Momoko Takahashi, Chisato Fukushima and Kana Ichikawa beat an Australian team including the Commonwealth 100m Hurdles champion Sally Pearson to record a time of 43.39, improving on the 43.58 set in Osaka in 2009. After arriving in the small hours of Saturday morning after a 10-hour flight from Doha, where she had competed in the opening Samsung Diamond League meeting of the season, Lolo Jones of the United States won the 100m Hurdles in 12.92. Prior to the event, a brief formal ceremony was held in which the sport's response to the recent disasters in Japan, "Run for Japan", was featured. During the ceremony, Murofushi delivered a short but eloquent address to the crowd of more than 11,000, first in Japanese and then in English. Three US athletes – David Oliver, Carmelita Jeter and Allyson Felix – excelled at a Colorful Daegu Pre Championship meeting which was, as its name suggested, a highly promising precursor to the IAAF World Championships which would be held in the same stadium between 27 August and 4 September. 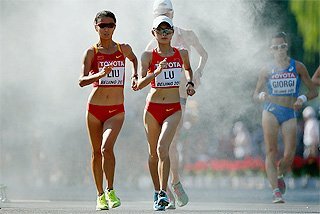 Sunny weather and a temperature of around 20 degrees Celsius clearly suited the competitors on a day when four World leads were produced. One of these went to Oliver as he easily won his 110m Hurdles race in 13.13, extending his winning run to 18 finals. Oliver's last defeat had come in his last competition of the 2009 campaign in Zagreb where he had been beaten by World champion Ryan Brathwaite of Barbados. Jeter won her 100m in 11.09, and Felix took the 200m with similar ease in a world-leading 22.38. A stumble at the last hurdle dropped Lolo Jones down from first to third in the 100m Hurdles as her fellow Americans Kellie Wells and Dawn Harper came past her to claim the top two places, with Harper, the Olympic champion, winning in 12.73. The third World leading effort came in the men's 3000m Steeplechase, where the Kenyan favourite Richard Matelong, World bronze medallist, was caught at the final barrier by 19-year-old fellow countryman Alfred Yego who won in a personal best of 8:12.08. Zheng Xingjuan of China and Marina Aitova of Kazakstan both cleared 1.94m – the last of the four world-leading marks - in the High Jump, with the Chinese athlete winning on countback. In the men's Triple Jump, Kim Deok-Hyeong was the only home winner with an effort of 16.99m. Home Pole Vaulter Fabiana Murer, the 2010 World Indoor champion, got her outdoor season off to a flourishing start in the Grande Premio Brasil/Caixa de Atletismo in the city which will host the 2016 Olympics, winning in a World leading 4.65m. 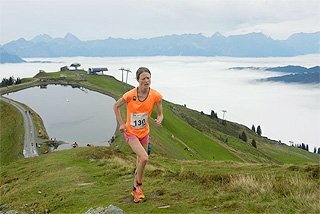 “My main goal for the season is the World Championships, but I also want to get closer to 5m,” said Murer, who planned to train in Italy under the supervision of coach Vitaly Petrov. Her achievement was matched by Jamaica’s Olympic 400m Hurdles champion Melaine Walker, who set the other World best of the night as she won in 54.09. Maurren Higa Maggi, Brazil’s Olympic Long Jump champion, offered home supporters more reasons to cheer as she won with 6.80m. Britain’s World Indoor 60m champion Dwain Chambers won the 100m easing up in 10.05, his second sub-10.10 clocking of the week after his season’s best of 10.01 in São Paulo. The IAAF World Challenge meeting in the Senegalese capital Dakar was highlighted by the women’s Hammer Throw competition as expected, with the new World record holder, Germany’s Betty Heidler, continuing in winning form. Heidler, who had thrown 79.42m in Halle the previous Saturday, led from round one in a competition that was part of the IAAF Hammer Throw Challenge and produced five throws better than the best result of the athlete in second place, Jessica Cosby of the United States, the best of which was 75.33. Cosby was a distant second with 69.53m, and former World record holder Tatyana Lysenko of Russia was third with 68.13m. Morocco’s 26-year-old Aziz Ouhadi bettered his two weeks old national record of 10.13 in the 100 metres as he won in 10.09 with a +0.8 m/s wind. Funmi Jimoh of the United States earned her second successive win at this meet with a 6.78m wind-aided mark in the Long Jump, and South Africa’s World 800m champion Caster Semenya held off competition from Cuban Yusneysi Santiusti to win in a season’s best of 2:00.61. African 400m champion Amantle Montsho of Botswana was the fastest in the 200m with a wind-assisted 22.88. A World leading run in the 1500m by Bahrain’s two-times World champion Maryam Jamal and a 13.07 victory in the 110m Hurdles by Cuba’s Olympic champion Dayron Robles which equalled the World lead were the highlights at the 29th Fanny Blankers-Koen Games. Jamal, who showed no signs of fatigue from her victory at Rome’s Samsung Diamond League fixture four days earlier breezed to victory in 4:00.33 after overtaking World Indoor champion Kalkidan Gezaghegne entering the finishing straight. Gezaghegne and Morocco’s Siham Hilali finished second and third respectively in career-best times of 4:00.97 and 4:01.33. Robles was never threatened in his second outing of the season in the 110m Hurdles as he finished in a time which matched that set in the Shanghai Samsung Diamond League earlier in the month by China’s Liu Xiang. In the women’s 100m Hurdles, Danielle Carruthers edged out fellow American and world leading athlete Kellie Wells by 0.01 in 12.64, taking 0.01 from Susanna Kallur’s meeting record set exactly six years earlier. Former US hurdler Tiffany Porter, now representing Britain, beat Angie Thorp’s 15-year-old British record of 12.80 in recording 12.77. Asian Games champion Mohammed Shaween set a Saudi Arabian 1500 metres record of 3:31.82, taking more than two seconds off his best, as he held off a field which included established talents such as Kenya’s Haron Keitany and Ethiopia’s Gebremedhin Mekonnen, who recorded respective season’s bests of 3:31.86 and 3:31.90. After his stunning 7:27.26 victory in the Doha Samsung Diamond League meeting 3000m three weeks earlier, expectations were high that the 21-year-old Ethiopian Yenew Alamirew would go on to make an impact in the Hengelo 5000m, but a career best of 13:02.71 was only enough to earn him fourth place behind three Kenyans who had outsprinted him on the final lap. With Edwin Soi winning in 12:59.15. A hard lesson, perhaps. In the women’s 5000m, Meseret Defar got her season off to a fine start. 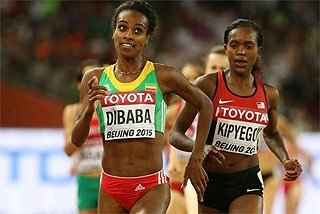 Although her winning time of 14:45.48 was not remarkable, her last lap of 62 seconds was as she led home three fellow Ethiopians - Sentayehu Ejigu (14:46.12), Sule Utura (14:46.36) and Genzebe Dibaba (14:46.55). Kim Collins, the 2003 World champion, took the 100 metres title with a 10.05 season’s best, fending off Dutchman Churandy Martina (10.10) and Trinidad & Tobago’s Richard Thompson, who clocked 10.13. The women’s 800m was won by Briton Jenny Meadows in 1:59.76. Germany’s World champion Robert Harting won the Discus with an effort of 68.23m, and 2007 World champion Irving Saladino won the Long Jump with a wind-aided (+3.1) 8.38m leap. 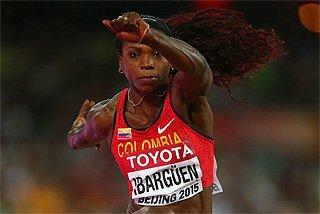 As expected, Usain Bolt won his second 100m outing of the season, recording 9.91, but it was his compatriot Veronica Campbell-Brown who produced the performance of the night to mark the 50th anniversary of the Golden Spike meeting as she produced a late burst of acceleration to win the 100 metres in 10.76. It was a World leading time for the 29-year-old double Olympic 200m champion – although by the end of the year it would stand second to the 10.70 her US rival Carmelita Jeter was to run at the Eugene Samsung Diamond League meeting four days later. It was also a personal best, establishing her joint eighth in the all-time lists along with fellow American Evelyn Ashford, the 1984 Olympic champion. "It was a surprise (when I saw the time)," said Campbell-Brown, who was 2007 World champion at 100m. She added that her target had been to run faster than her season’s best of 10.92. Job done. 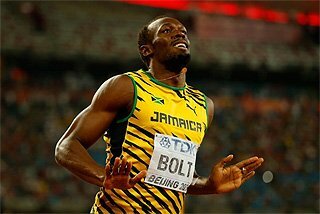 Bolt matched the 9.91 he had run in Rome after moving clear of the World leading 100m runner, fellow Jamaican Steve Mullings before the 60 metres mark. Mullings finished in 9.97. LJ van Zyl extended his winning habit in the 400m Hurdles, equalling his own 47.66 World leading time, with Britain’s European champion David Greene second in 48.47. In the Javelin, Russia’s Mariya Abakumova rained on Barbora Spotakova’s home parade as she won with a final effort of 65.81m, following up an earlier second season's best of 65.56m. The Czech Republic’s Olympic champion and World record holder could only manage 64.78m in response. The winning throw in the men’s competition also came in the final round, with Germany’s Matthias De Zordo prevailing after a season’s best 85.78m. 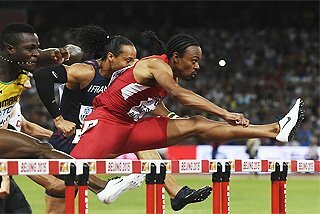 Yohan Blake suffered a rare defeat over 200m, running 20.38 behind fellow Jamaican Marvin Anderson, who clocked 20.27. Competing before a raucous crowd of more than 30,000, Blanka Vlasic, Amine Laalou, and Viola Kibiwot produced World leading performances to highlight the fourth edition of the Meeting International Mohammed VI in the Moroccan capital. But while Vlasic came through with a 1.97m winning leap and a near-miss at two metres in the High Jump, this IAAF World Challenge Meeting’s other high profile performer, Asafa Powell, had to carry an injury home to Kingston just 18 days before the Jamaican selection trials for the IAAF World Championship in Daegu. Vlasic, the 2010 World Athlete of the Year, beat her close Russian rival Anna Chicherova with a clearance of 1.97m, but said she was unhappy not to have reached 2.00m. Things didn’t go according to plan for Powell either, who barely reached the finish line after pulling up some 30 metres into the 100m contest. Well before hitting top speed, Powell had slowed almost to a walk, noticeably favouring his right hamstring. He later described it as “a sharp pain”. With Powell out, the unlikely victory went to Aziz Ouadi in 10.27. There was no stopping or catching Kenya’s Kibiwot over the final lap of the women’s 3000m, who stopped the clock in 8:46.84, the fastest in the world this year. Home runner Laalou recorded the third World leading mark of the night in the rarely run 1000m, clocking 2:15.31. The 53rd edition of Brothers Znamenskiy Memorial contained a memorable contribution from Nadzeya Ostapchuk of Belarus, who won the Shot Put with a World leading 20.94m. And the spectators in the Meteor stadium in this town on the outskirts of Moscow went home especially satisfied by the victory of local lad Yuriy Borzakovskiy, the former Olympic 800m champion, who ran a sub 1:44 race. Ostapchuk, the 2010 World Indoor and Diamond Race champion, already had the furthest throw of the year to her credit with the 20.59m effort that had earned her victory at the Samsung Diamond League meeting in Eugene, USA on 4 June. The 30-year-old only had two scoring efforts out of her four allotted attempts, with her other one being a misfiring 18.94. But so what? The 30-year-old Borzakovskiy rewarded his supporters by producing his fastest 800m in two years as he won in 1:43.99 with a long run for home. Kenya’s Boaz Lalang was second in 1:44.20. In the IAAF Hammer Throw Challenge, Germany’s 2007 World champion and World record holder Betty Heidler earned another decisive victory with a best of 75.28m. Hungary’s Krisztian Pars won the men’s Hammer with a relatively modest 79.70m but the men’s Javelin exceeded expectations as the 38-year-old veteran Sergey Makarov won it with 86.14m on his final attempt. A strong headwind slowed the 100m sprinters and preserved Victor Bryzgin’s 1986 meeting record of 10.03 for at least a year, with the Jamaican winner, Michael Frater, recording 10.11. Belgium’s 23-year-old European 400m champion Kevin Borlee lowered his career best to 44.74 at the Meeting de Madrid, which was just 0.03 shy of the national record held by his twin brother Jonathan. The other highlight of the night was Justin Gatlin’s narrow 100 metres win in 10.10 in what was his first ever race in Spain. “I didn’t expect to perform so well today since I’m suffering from stomach problems since last Monday,” the poorly Borlee commented. The men’s 100m produced a tight race between the 2004 Olympic champion Gatlin and Britain’s Dwain Chambers, the reigning World and European 60m indoor champion into a headwind of 1.6 metres per second. The American kept the Briton at bay, finishing 0.03 ahead. Yuriy Borzakovskiy suffered a surprise defeat in the 800m to Tyler Mulder of the United States, who won in 1:45.10, with the Russian second in 1:45.57. Spain’s 21-year-old European Indoor bronze medallist Kevin Lopez set a personal best of 1:45.74 in fourth place. A year after he had lowered his World 800m record here on his favourite track to 1:41.01, Kenya’s David Rudisha – newly established as World champion - returned with the intention of running still faster. 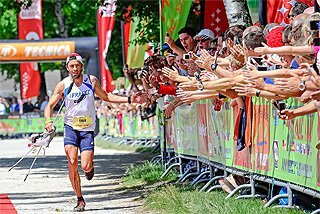 He failed to do so, but only narrowly, as he clocked the world’s fastest time of the year, 1:41.33. As relative failures go, it was fabulous – the fifth fastest time ever run behind his own two World records (1:41.01 and 1.41.09) and the two set in 1997 by Denmark’s adopted Kenyan Wilson Kipketer – 1:41.11 and 1.41.24). Rudisha’s effort was the highlight of Rieti’s 41st edition, but another returning champion from Daegu, fellow Kenyan Asbel Kiprop, made a huge additional contribution as he set the world’s best 2011 time of 3:30.46 in the 1500 metres. In Rudisha’s wake six other runners dipped under 1:45.00, with Poland’s World Championships finalist and European Indoor champion Adam Kszczot setting a personal best of 1:43.30. World Youth silver medallist and World Championships finalist Mohammed Aman from Ethiopia smashed the World Youth best and his national record with a hugely impressive 1:43.37, beating in the process the former World champion Alfred Kirwa Yego, who ran his seasonal best in finishing fourth in 1:44.07. Poland’s world finalist Marcin Lewandowski (1:44.53 seasonal best), Jackson Kivuva (1:44.53) and Australia’s Jeffrey Riseley (1:44.64) were the other beneficiaries of Rudisha’s ambition. Kiprop, who had only managed seventh place at the Samsung Diamond League final in Zurich three days earlier, was a clear winner ahead of Nick Willis from New Zealand, the Olympic silver medallist in Beijing, who was a distant second in 3:35.52. The men’s 3000 metres was another super-fast race, with Bernard Lagat, World 5000m silver medallist, winning in 7:32.13. In the 200m, World 400 metres silver medallist Lashawn Merritt moved down distance and clocked an impressive 20.13 to win. Yohan Blake’s remarkable late summer momentum after becoming World 100m champion continued in Berlin, where his 100m victory in 9.82 – equalling the personal best he had set just three days earlier at the Samsung Diamond League final in Zurich - was the high point of the 90th anniversary celebration of the ISTAF, one of the world’s oldest track meets. Blake’s run was one of four meeting records to fall before a vociferous crowd 51,812 that turned out on an ideal late summer afternoon in the German capital’s historic 1936 Olympic Stadium. His victory here, on the same blue track where training partner Usain Bolt had set his 9.58 World record two years earlier, appeared more convincing as he was ahead much earlier, some 40 metres into the race, en route to beating the record of 9.86 held jointly by Maurice Greene (2000) and his fellow Jamaican Asafa Powell (2006). But Blake preferred his previous Zurich run. “I was a little lazy at the start here,” he said. “I could have run 9.7 easy.” Behind him, Kim Collins, the Daegu bronze medallist, clocked a 10.01 season’s best, with Trinidad & Tobago’s Olympic silver medallist Richard Thompson third in 10.08. Olympic champion Barbora Spotakova prevailed in the latest meeting of the Javelin’s big three, defeating Germany’s Christina Obergfoll and Russia’s World champion Maria Abakumova with an effort of 67.14m. Home Hammer thrower Betty Heidler, the World record holder and twice-World silver medallist, ensured she finished top of the standings in the 2011 IAAF Hammer Throw Challenge as she won with 77.40m, which only she had beaten in 2011. “Slowly I’m feeling better after the disappointment in Daegu,” said Heidler, who had thrown 77.53m in Elstal, Germany, two days earlier. “But the silver medal still hurts.” World champion Tatyana Lysenko was second here with a 74.67m best. Double World champion Robert Harting celebrated on home turf with another victory, achieving a best of 67.22m. Usain Bolt’s 9.85 victory in the 100 metres provided the high point of the Hanzekovic Memorial meeting in front of a capacity crowd of more than 12,000 in the Sportpark Mladost. Bolt was one of five recently established or re-established World champions competing. But the World 100 and 200 record holder finished the night still short of his ambition of running the fastest 100m of 2011 – something he would attend to in his next race at Brussels. In the women’s 100m, World champion Carmelita Jeter won as expected in 11.00, although she couldn’t shake Jamaica’s Schillonie Calvert until the 80-metre point. Calvert, this season’s winner in Hengelo and Rieti, clocked 11.13. The Zagreb meeting honours the memory of Croatian inter-war hurdler Boris Hanzekovic, giving the high hurdles pride of place on the programme each year. This edition was no different with Jason Richardson and Dayron Robles going head-to-head for the second time since the World Championships. Robles, whose disqualification in the Daegu final elevated Richardson to the podium’s top step, won in 13.00, with the American clocking 13.04. Another Daegu champion on the Zagreb programme was Australian Sally Pearson. 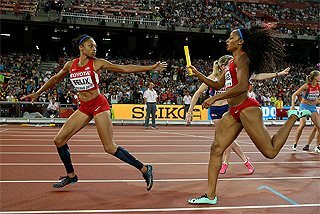 The World leader after her sensational 12.28 in Daegu, Pearson built a clear lead by the fourth barrier and won in 12.68, her tenth victory this year in as many races. Despite his stature, Bolt was forced to share poster cover duties with local heroine Blanka Vlasic, whose rematch with World champion Anna Chicherova was among the key attractions. 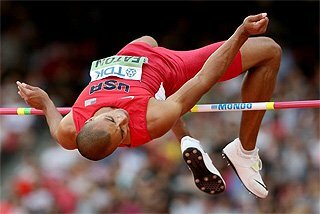 Vlasic suffered a rare home defeat on countback after both had failed at 2.04m. Krisztian Pars of Hungary could only manage third place with 79.86m in the final event of the IAAF Hammer Throw Challenge, but he still finished top of the standings. 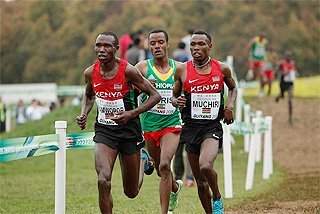 Meeting records fell in the longer distances as well, the most impressive of which came in the men’s 1500m, where Kenya’s 21-year-old Samsung Diamond Trophy winner Nixon Chepseba won in 3:30.94, a personal best by nearly half a second.